Need to use up those fall apples? Can’t finish the bag? 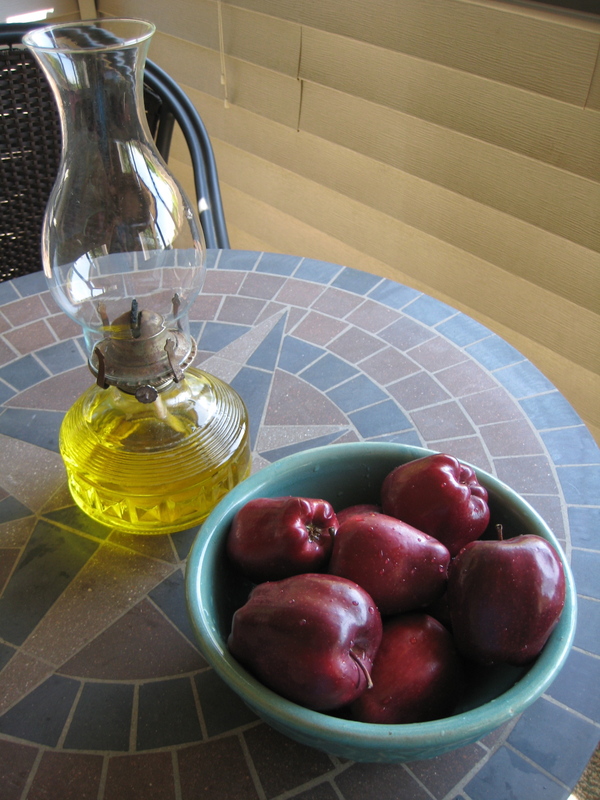 Here’s an idea if you want to substitute sugar in your recipes–homemade apple sauce! If you choose sweeter apples, you’ll have a sweeter sauce. Or eat it with kielbasa and cabbage. Or feed it to your baby. Just wanted to share this with you. Mostly because it is so colorful and pretty. Though Miss Precious has now moved on to eating real food with tiny fingers, this was a most interesting little ride. 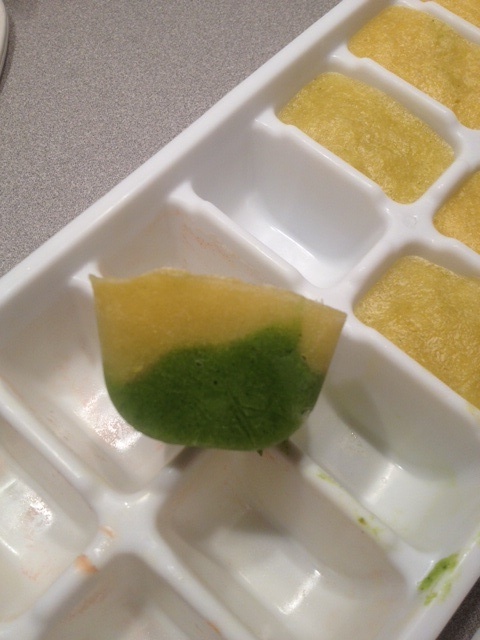 My cousin bestowed upon me a baby food book and it mentioned pureeing the food and freezing it into ice trays. In this one I mixed corn and broccoli.